Hi everyone! It's no secret my favorite flower is a rose. I mean, I DID name my blog after them! lol! 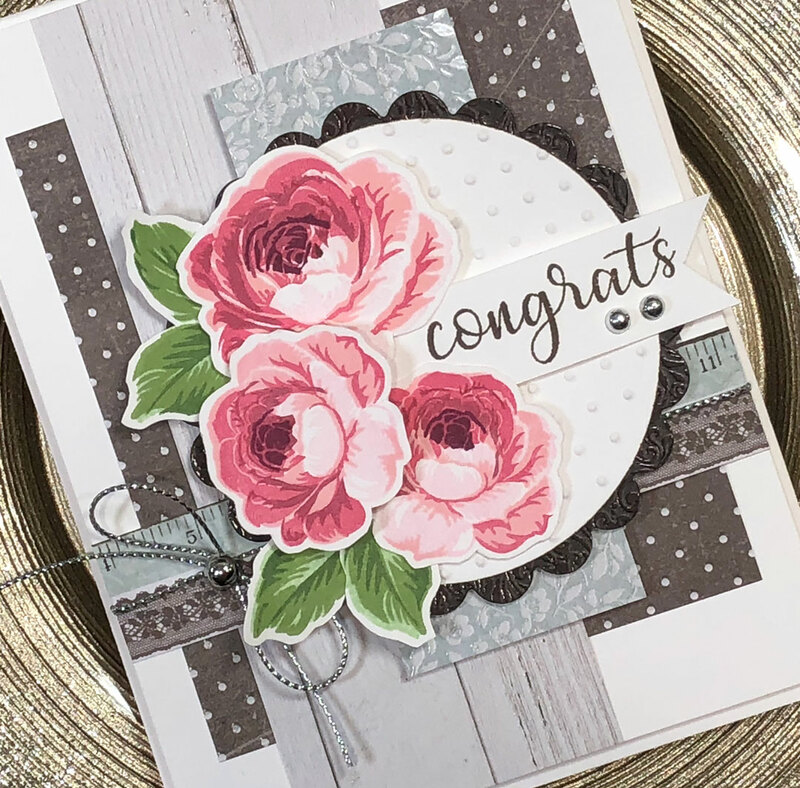 So I was very happy to see that my friend Mendi, who owns Sunny Studio Stamps released a delightful stamp set featuring roses called Everything's Rosy. These are multi step images, and by multi, I mean 5 for each rose! Yes, and the detail on the images is just stunning. Here's a fun picture of my desk while I was playing around with color combinations! I had some crazy inky fingers when I was done. 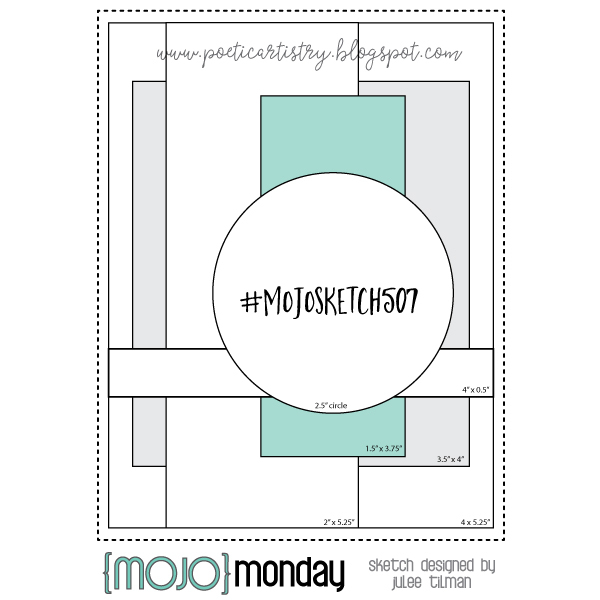 As soon as I saw Julee's Mojo Monday sketch #507 earlier this morning I knew I wanted to use it with the roses I made yesterday. Match made in heaven. Here's my card. The fabulous patterned paper is from Kaisercraft their Ooh La La paper pad. I love how there are some nice neutral prints (woodgrain and heathered solids) as well as some with pale blue and coral!! I added some silver metallic string across the thin strip panel and used a few silver pearls as the final accent. Here's Julee's sketch if you want to play along. Notice she gives the measurements on each panel? Made this super easy to put together! Thanks Julee! Beautiful roses, beautiful card. I don't think I have ever used that many layers on one card - love how all yours go together. 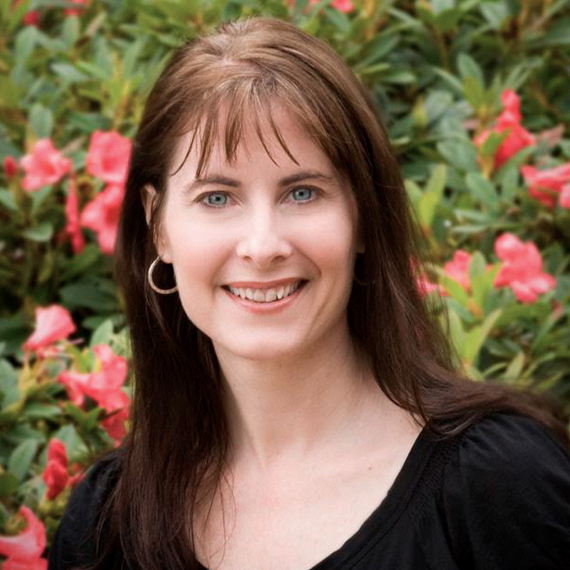 Those roses are just stunning, Michelle. 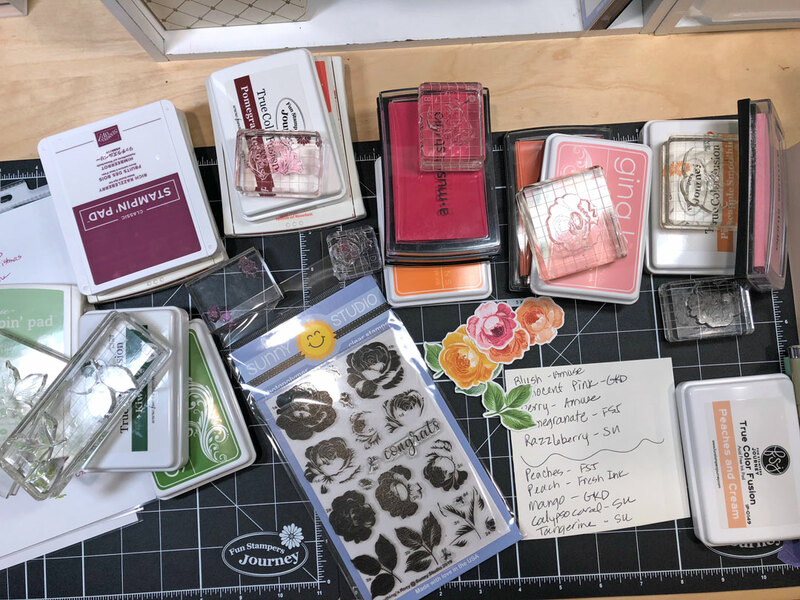 I rarely have the patience for 2 step stamping, let alone 5 step, but I sure do LOVE the results. 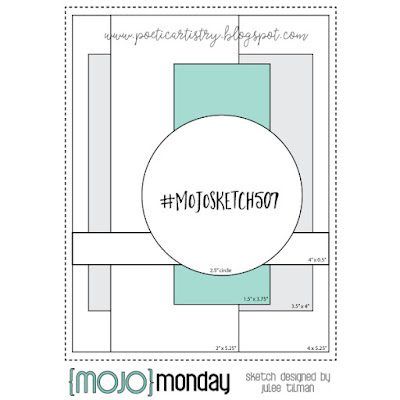 :) So glad you could join me for Mojo Monday! Wow is this a gorgeous card! 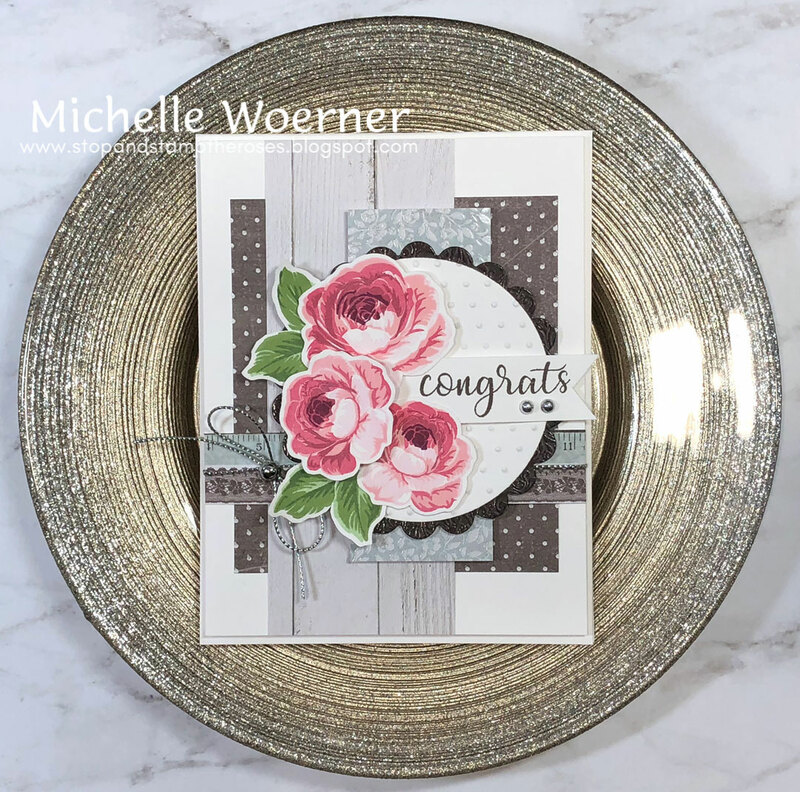 I love the layered roses and they look amazing against your black and white papers.